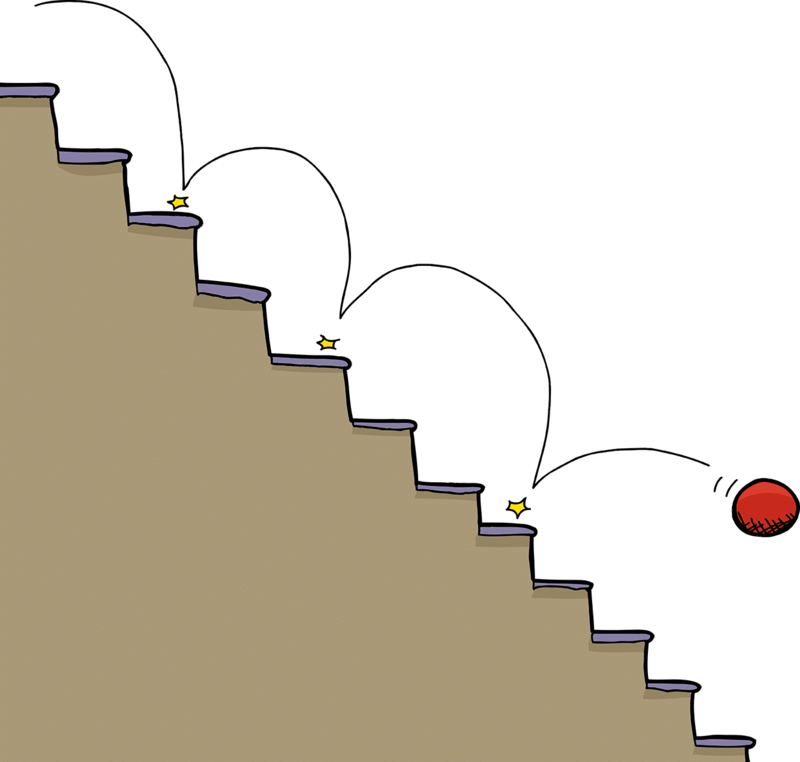 What Exactly is Bounce Rate and Why is it Important? If you're on own for digital marketing, hold on to your seats, because we're about to help you out big time. If you've hired an SEO company and they haven't told you this... well, I'll leave that decision to you. Either way, this information is vital to your overall marketing strategy. Your "bounce rate" is the percentage of visitors to your website who view one page and then go somewhere else. If you're selling something, they aren't clicking to the cart. If you're into politics, they aren't clicking the donate page. If you're a blog about desserts, they aren't clicking on past recipes. In other words, people get tired of you after 15 or 20 seconds. We all know the Internet has reduced the average person's attention span to that of the average housefly but, still, if you can't keep them for a peek at a second page, you may have a problem. For some websites, it isn't. What is your website goal? Do you want visitors calling your 800-number to live-chat about your products or services? Do you want customers jumping to your eBay store or Etsy page because that's where you collect their money? Do you want visitors filling out an information form that only needs the one page? If so, you will be looking at different analytics. How Do You Lower the Bounce? First rule: If you're not a google analytics guru, hire one. You might be a wizard at finding furniture bargains or fixing autos or whatever, but search engine optimization is a different skillset. Hire technical experts (like 51Blocks) and listen to their advice, it will profit you in the long run. Second: Get good content. Have your SEO company let loose their stable of professional wordsmiths to tell your story in concise, entertaining style that transmits the info you need to get across. People come to you with questions, give them clear answers? Be specific, focus on benefits then link them to the cart. Third: Remember that some visitors won't arrive on your site ready to buy, they're researching or exploring. Give them something to think about — links to other pages on your website. Build a "more details" page that gives them 2,500 words instead of the usual 400, or a "cost comparison" page that shows how your program stacks up against competitor options. Some might've purchased from a competitor and lost the manual. Put the manual on your site (if the manufacturer allows it). Marking yourself as the customer care folks with practical solutions builds trust and brings people back. Fourth: Speaking of marking yourself, don't be shy. Long-time customers trust their suppliers' expertise, so demonstrate that expertise in a well thought out "about our company" page. Fifth: The clarity of your message is vital, but meaningless without a clear call-to-action. Blogs are increasingly popular as a way to bring people back regularly. Does that blog post include a link to a sales page? Is there a link to a "contact us for a free consultation" page? Does your text encourage visitors to do something specific? Sixth: Watch your language! Obviously, no swearing, but it's far more than that. Who wants to "make the world better"? Everybody, but don't put that as a lead-in to your non-profit's donation page. Be specific, practical, realistic. Part of "realistic" is "limited". Your website needs one clear call-to-action. That doesn't mean you can't have several options for various types of visitors — a jobs-with-us page is always good, but it isn't what makes you money. Choose that primary call carefully then set everything else to support that core goal. There are also some technical considerations: What color are the buttons that link to other pages? Where are the buttons located on each page? Is your website design consistent — same color, location — on every page? User experience is all about simplicity, that is, "Don't make me hunt you down!". An example of a bad user experience: A non-profit wrote a manual on teaching and put the PDF online. Then they put the link in the middle of a long page of text, where it was easier to miss than to find. Why didn't they just put the link among the drop-down lists on the header? Same organization, good user experience: The group also made a video on teaching. That video was in a big window directly under the header with a "watch now" icon you couldn't miss standing 12 feet from the screen. Don't make your website so simple they can navigate it without thinking, make it so simple it almost knows what they're thinking and navigates for them. Plan and publish a website with synergy — where every aspect (from colors to page layout) supports every other aspect — then sit back and watch your bounce rate plummet.